at St Dominic, 625 Atwater Avenue. @ 7 pm at St Charbel, 7250 West Credit Avenue. followed by Eucharistic Adoration at St Charbel. 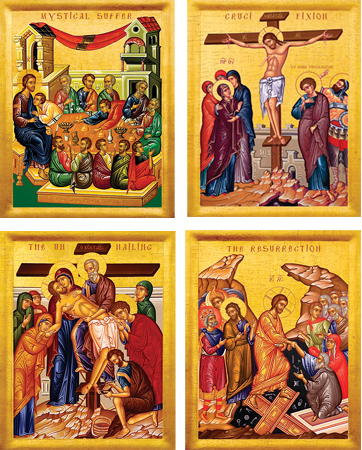 ~ Good Friday, April 14th, Liturgy @ 9:30 am at St Dominic. ~ Easter Vigil, April 15th, Liturgy @ 11 pm at St. Charbel. ~ Easter Sunday, April 16th, Liturgy @ 4 pm at St Dominic.